Harvard prepares for the effects of climate change. Between House renewal and its Allston land acquisitions, Harvard is primed to spend hundreds of millions of dollars by the end of the decade in developing its share of the Charles River waterfront. But rising sea levels, storm surges, and floods caused by climate change could place both that investment and the rest of the campus at risk of being washed away. Recently released climate change vulnerability assessments conducted by the cities of Boston and Cambridge identified sea level rise, severe precipitation, coastal storms, and extreme heat as four areas of risk for the Boston area in the coming decades. Of particular concern to Mia Goldwasser, Boston’s climate preparedness program manager, is the combination of storm surges and a rise in sea level leading to more severe flooding. “Boston is one of the most vulnerable cities in the U.S.,” Goldwasser said, noting the particular geography and landscape of the city. Boston could experience over $135 million worth of physical damage per year from sea level rise by 2030, according a report released last Thursday by Climate Ready Boston, an initiative of the City of Boston to prepare for the effects of climate change. Harvard faculty has long studied the effects of climate change on cities and communities around the world, a fact often touted by University President Drew G. Faust in response to demands that Harvard divest its endowment from fossil fuel companies. Last week, the Office for Sustainability announced the University had reached Faust’s goal to reduce Harvard’s greenhouse gas emissions by 30 percent from 2006 levels. Now, however, faculty and administrators are confronted with a challenge closer to home and potentially more costly: how to protect their own campus against the threats posed by climate change. Fortunately, Cambridge and communities upstream from Boston Harbor are currently protected from sea level rise and storm surge by dams on the Charles and Mystic Rivers, according to John Bolduc, Cambridge’s environmental planner. 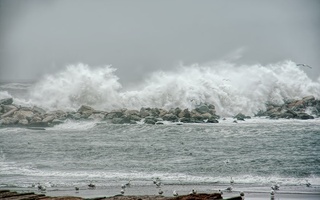 Bolduc further noted that models produced in collaboration with the Massachusetts Department of Transportation showed that storm surges will still be “extremely unlikely” to overtop the dams through 2030. More immediate concerns, according to Bolduc, are extreme heat, which can strain electrical utilities, and severe precipitation, which can lead to flooding. Bolduc said that the Cambridge city government is considering doing “resilience audits” to better protect properties against climate change, and putting up flood barriers at “strategic locations.” Future Cambridge zoning will also take climate change effects into account. Heather A. Henriksen, director of the Office for Sustainability, which coordinates climate resilience efforts at Harvard, indicated that the University was “cognizant” of the threats from climate change facing campus. Harvard is simultaneously pursuing resilience efforts both on campus and at regional levels, according to Henriksen. 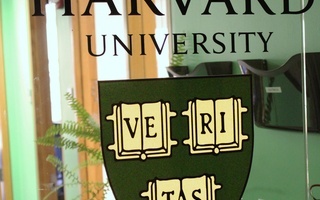 She said the office is currently working with administrators and faculty members to develop a University-wide climate preparedness and resilience plan by 2020, and that Harvard has begun using internal resilience standards for University property. Henriksen said critical infrastructure was raised in designs for the new School of Engineering Applied Sciences complex and renovations to Harvard Kennedy School to make the buildings more resilient to flooding. She mentioned elevating and moving an energy facility for the SEAS complex after a vulnerability assessment indicated flooding risks. Henriksen said adding resilience measures to existing buildings will be a “longer-term challenge,” but the undergraduate Houses undergoing renovations will have cooling infrastructure installed to offset the effects of extreme heat in the future. Also under consideration in resilience efforts are campus landscapes and the “permeability” of surfaces to water, according to Henriksen. 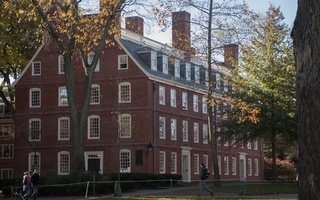 Robert Manning, Harvard’s director of engineering and utilities, indicated that climate change and resilience considerations are factored into the design of Harvard’s electric grid and noted that Harvard’s underground electrical cabling and distribution transformers in the renovated Houses are designed to be submerged. Manning also said Harvard’s electric grid is prepared for the strains of heat-related electricity use. According to him, University buildings have two electric lines, either one of which can take the entire electrical load in the hottest possible hour. For Harvard’s Blackstone steam plant, which is situated on Western Avenue next to the Charles River, most of the equipment is elevated “several feet above or even higher,” according to Manning, and there are currently efforts to “harden” other components of the plant against flooding and storms. He added that the University is currently examining flood risks to Harvard’s steam tunnel system. Despite Harvard’s own preparedness efforts, Henriksen noted that cooperation with local and state institutions is necessary for addressing long-term climate change threats, particularly sea level rise and storm surge. She said Harvard faculty were active in contributing to regional resilience and modeling efforts. Harvard experts echo Henriksen’s sentiment regarding the complicated and challenging nature of long-term climate resilience planning. Carling Hay, an Earth and Planetary Sciences research associate, emphasized balancing uncertainty with risk in long-term estimates of sea level rise and storm surge. “Projections [of sea level rise] up to 2050 are fairly consistent, regardless of what emissions scenario we choose. It’s after that, after 2060 and towards the end of the century, that there’s a lot more uncertainty. And that’s really due to uncertainty with what the ice sheets will do,” Hay said, adding that sea level rise up to today has mostly been due to thermal expansion of the ocean. Hay, who advised the Boston city government in its climate vulnerability assessments, said planners and officials would have to decide on acceptable degrees of risk for different systems in considering climate resilience measures. “If... you have something that has very low tolerance for risk, that’s [a] reason to plan for the higher end of sea level rise, because if storms do become more intense, or they do become more frequent, those flooding events will become more likely,” Hay said. Jesse M. Keenan, an architecture lecturer at the Graduate School of Design, discussed the dual importance of resilience and adaptation in preparing for climate change. Resilience, Keenan said, is about maintaining the status quo amidst climate change threats, while adaptation considers adjusting locales and individuals around the effects of climate change. “The necessity to think of adaptation as a point and counterpoint to resilience is because there’s many circumstances where you may be resilient as a community or your actions may be resilient… but to another group or community, it’s maladaptive, and vice versa,” he said. Keenan, who has advised federal agencies on climate change and disaster recovery, cited flood defenses as a potential example of “maladaptation.” Flood barriers allow buildings to be resilient to water damage but can also direct water onto other properties, creating flood risks that did not exist before. “There’s a great deal of subjectivity about what it means to be resilient. And you have to draw that boundary between hazard mitigation and just protecting yourself from risk and really challenging and thinking about the necessity to adapt,” Keenan concluded. Bolduc echoed Keenan’s judgement on the importance of considering adaptation for Cambridge. As an iconic institution, let us not undermine the future of life on Earth. What will it gain us in the end? And what will it cost us? ​The Climate Change Solutions Fund started by University President Drew G. Faust awarded ten research projects over $1 million in grants, around a $200,000 increase from last year, according to the Office of Vice Provost for Research.